Rome is Easy - Simple Chocolate Cake Recipe: learn how to make an authentic Caprese Cake! Simple Chocolate Cake Recipe: learn how to make an authentic Caprese Cake! Simple Chocolate Cake Recipe: make an authentic Caprese Cake! 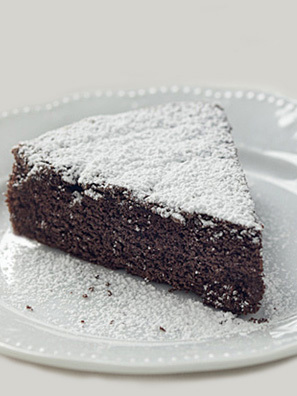 With this simple chocolate cake recipe you’ll learn how to prepare an Italian traditional dessert, the Caprese Cake, invented on the beautiful Island of Capri around 1920 - 1930, with chocolate and almonds, crispy outside and soft and fluffy inside. Perhaps this cake was baked for the first time by the chef Carmine Fiore. According to legend, the cake was invented by mistake: the flour was forgotten and the result was a very low cake with a delicious flavor! Continue reading to discover the ingredients and the method.